2-Sided and 3-Sided demountable roll containers are also available. 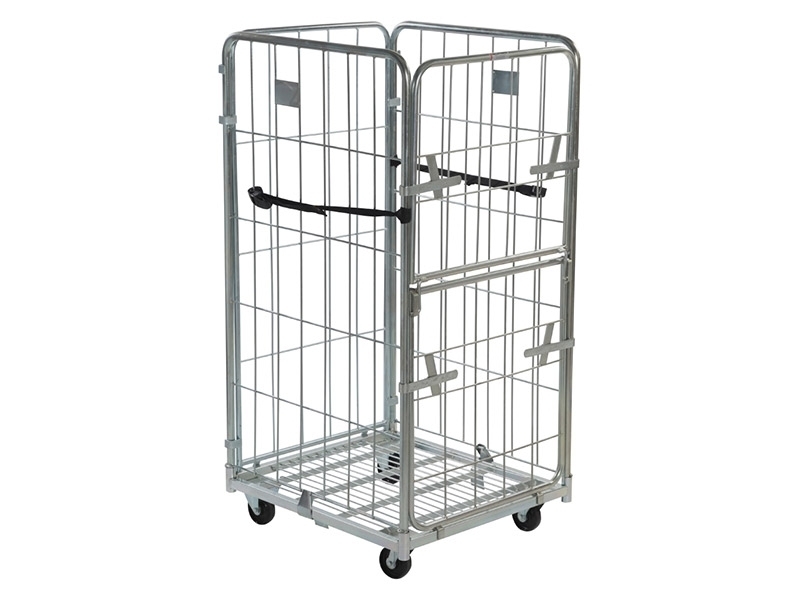 This 500kg roll cage from The Workplace Depot is perfect for moving large items. 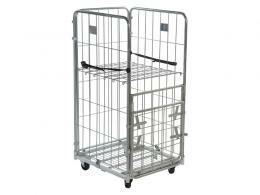 Roll Cages are designed for the transportation of heavy items and bulk quantities. The 500kg demountable roll cage has been designed to be extremely sturdy and can withstand loads of up to 500kg. The wire framework and base have a zinc electroplated finish. The biggest benefits of this product is that is can be completely demounted for return loads as well as storage. 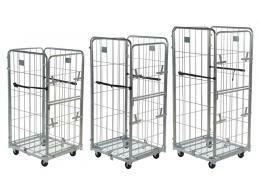 This particular metal cage is extremely quick and easy to assemble. The 500kg capacity demountable roll container is perfect in any situation where heavy items and bulk quantities need to be moved, including offices, warehouses and industrial units. Order this product from The Workplace Depot today and get free delivery in 3-5 working days. This particular roll cage is designed to have a massive 500kg capacity. The roll container is fully demountable for storage and return loads and there are two swivel and also two fixed 100mm smooth nylon castors. The product is very easy to assemble and won’t take long at all and 2 straps are supplies. Additional shelves can be added if wanted. The wheel diameter measures 100mm and the container boasts a bright zinc plated finish. If you decide to order shelves separately, there will be a carriage charge. All products from The Workplace Depot come with a one-year warranty on parts and labour. If you have any queries, please contact our sales team who are happy to assist.